Saab has had its ups and downs but it’s coming back with a healthy line up of electric powered vehicles. 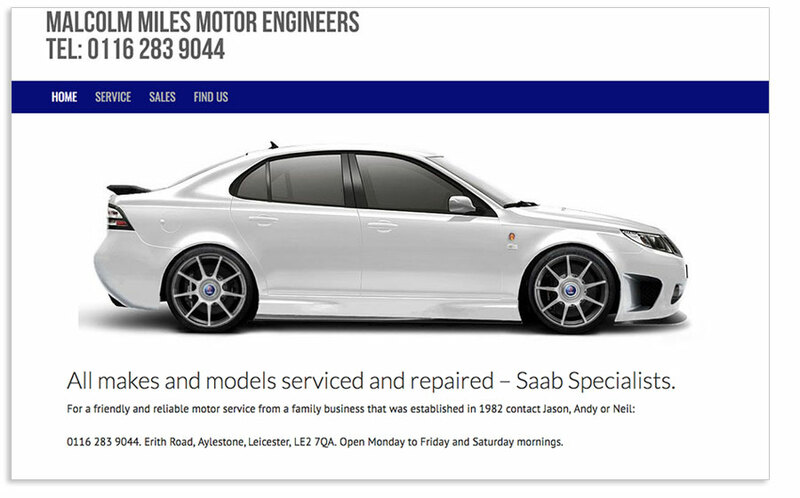 Saab repairs and servicing from Malcolm Miles has been more consistent. Still at Erith Road and still friendly, highly skilled and efficient. This site has a clearly defined job to do. It must attract any searches for Saab service and repair and make the phone ring! It does exactly that and it is on page one of Google for many different search terms that prospective customers may use. Important information begins with an easy to find phone number and opening hours as well as a map so you can be found. Wrap it all up in a stylish website that works even on tiny phones and you have a nice replacement for the defunct Yellow Pages!